Today, Capcom has released a new 23 minutes gameplay video for Monster Hunter World that shows a new hunt quest for an Anjanath in the Ancient Forest. The hunt and gear fest is coming to the PS4, Xbox One and PC in early 2018. Check out the gameplay below and keep reading for more. Monster Hunter: World sees players take on the role of a hunter that completes various quests to hunt and slay monsters within a lively living and breathing eco-system full of predators and prey. 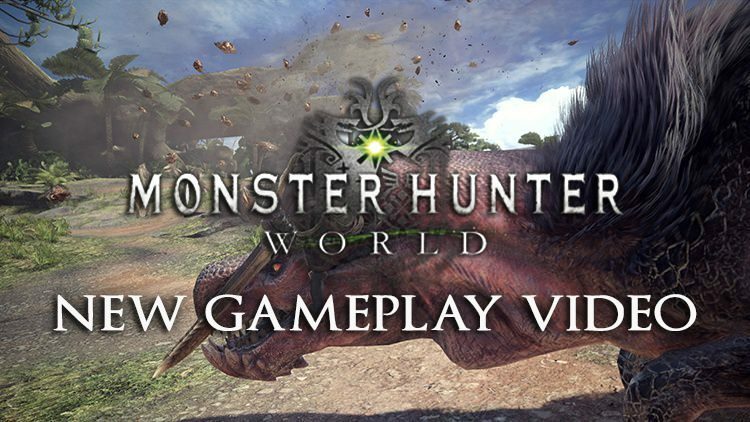 In the video you can see some of the creatures you can expect to come across within the New World, the newly discovered continent where Monster Hunter: World is set, including the Great Jagras which has the ability to swallow its prey whole and one of the Monster Hunter series favorites, Rathalos. 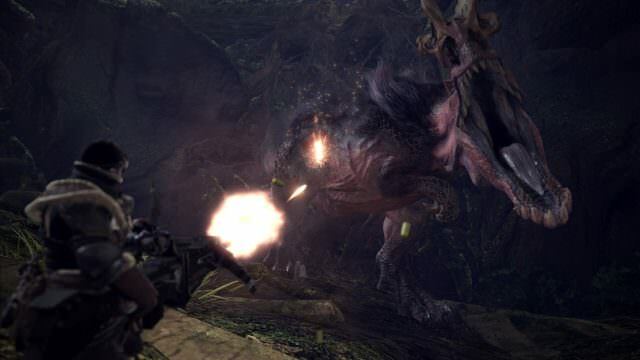 Players are able to utilize survival tools such as the slinger and Scoutfly to aid them in their hunt. By using these skills to their advantage hunters can lure monsters into traps and even pit them against each other in an epic fierce battle. The hunter will need to select their weapon choice carefully from 14 different weapon classes and think strategically about how to take the giant foe down including packing the camouflaging ghillie suit. Once your foe is slain you can craft armor and weapons for yourself as well as your Felyne companions. As you can see, the gameplay of the hunt is pretty epic stuff and the kills are quite rewarding both in the loot they give and in the feeling of badassness. Thoughts on how the gameplay is looking so far? Let us know what you think in the comments! 16:16, you can see a new weapon in that menu. The bottom right one. Looks like a shield with spikes on the top, but it could be anything really. It also looks like Gunners and Blademasters use the same armor, finally. Awesome! I’m really exited for this. 2018 is too far off! Hopefully, we’ll get a downloadable demo to play.